New year special. Summary recap. This episode should be seen between episodes 12 and 13. When I first watched this I gave it a 5 because it was boring (I watched it right after episode 12). 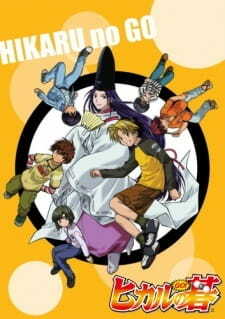 However, now, after almost two years after completing Hikaru no Go, I re-watched this and I have to say it's amazingly done. It sums up 12 episodes in 20 minutes perfectly, and it bring back memories of when I watched this anime for the first time. There's not really much to say about it, everything is the same as in the original series, no new characters, music or anything. This reassume the first part of the serie. In one episode they put most of the MCs deep feelings and thoughts about go and themselves. Also their growth from playing just for fun to a serious person who really wants to play with their own forces.